After online banking, back office work, tuition and secretarial jobs, the latest services US is outsourcing from India is speech writing for its senators. Is Brand Bangalore Losing Its Sheen? 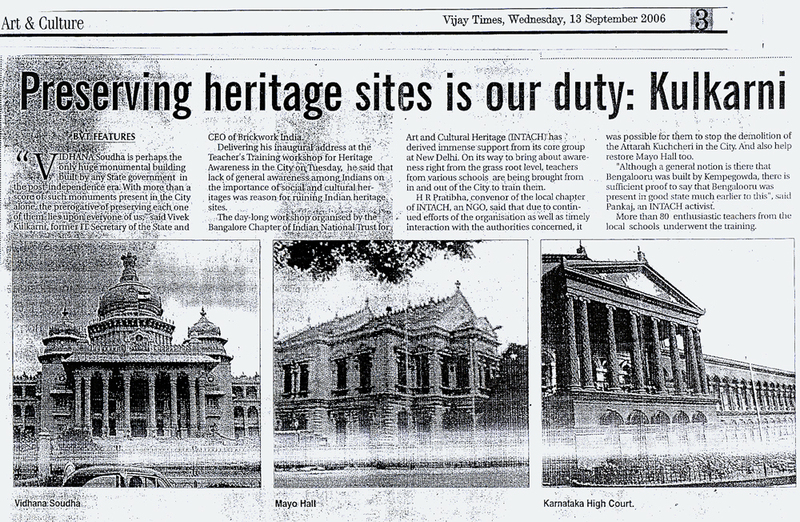 I was Selling The Karnataka IT Story To The World. Do The IIMs Measure Up To Global Benchmarks? Outsource Your Worries, Including Buying Underwear To These Men. Of Course You Need To Pay In Dollars. 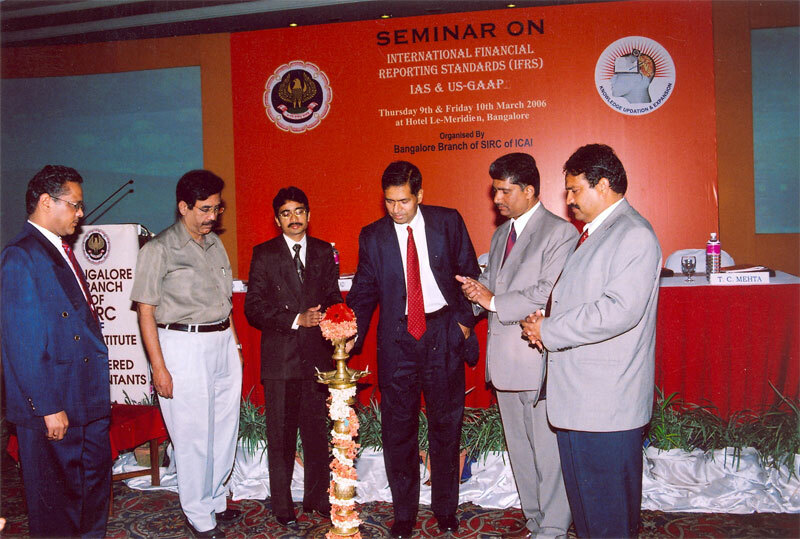 Event: Inaugural address at the Seminar on IFRS/IAS & US-GAAPs organized by the Bangalore Branch of the Southern India Regional Council of the Institute of Chartered Accountants of India. 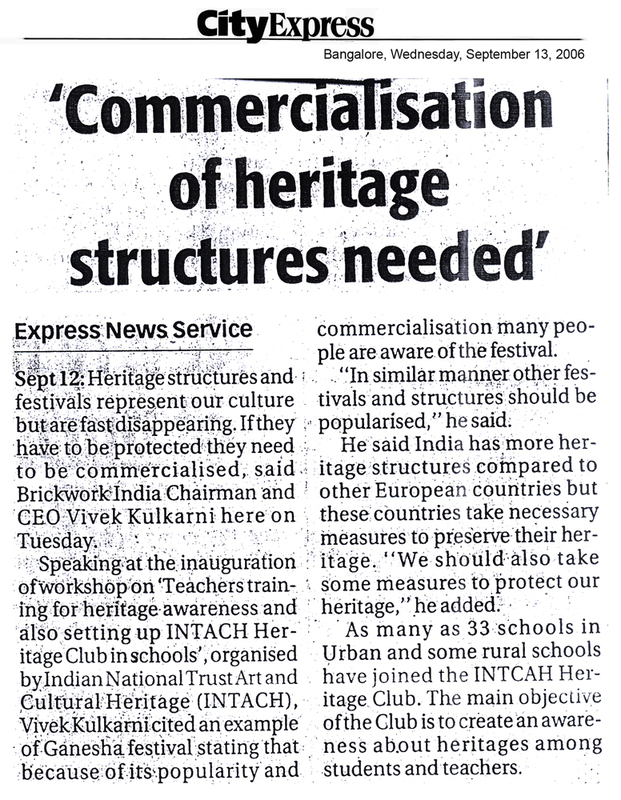 Vivek graced the occasion as Chief Guest and was a prime speaker at the event. Event: Vivek Kulkarni was invited as the Chief Guest for the inaugural function of "VERVE-2006," a management event for nascent managers held at St. Joseph's College of Business Administration, in Bangalore on 28 November 2006. 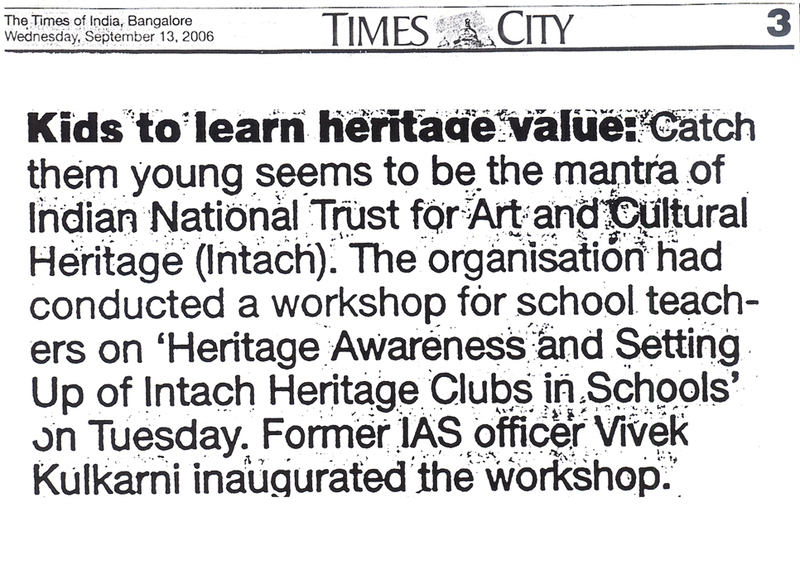 Event: Vivek Kulkarni was invited to inaugurate a Teachers Training Workshop to create heritage awareness and start heritage clubs - held at INTACH, Bangalore on 12 September 2006.